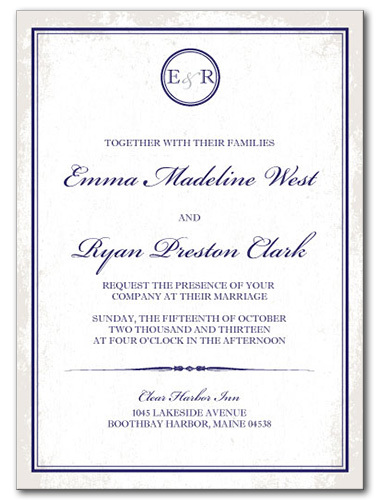 Whether your big day is set to be a formal and elegant black tie affair, or you're looking for a laid back sunny wedding by the sea, there's an invitation for you. 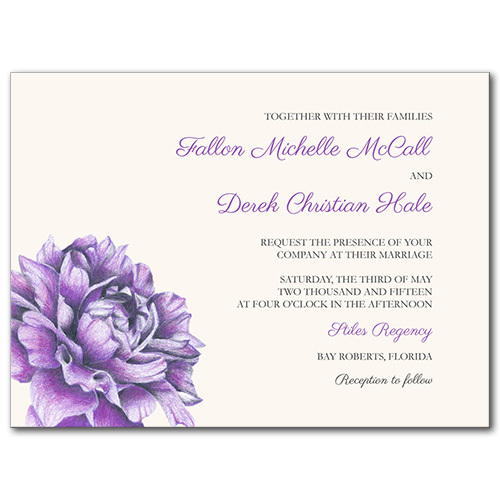 Choose from a vast assortment of colors, themes, and designs to coordinate with whatever dreams you have about your upcoming nuptials. 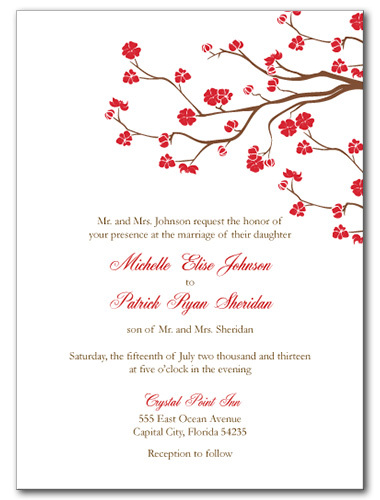 Find colorful floral patterns like roses, cherry blossoms and daisies. 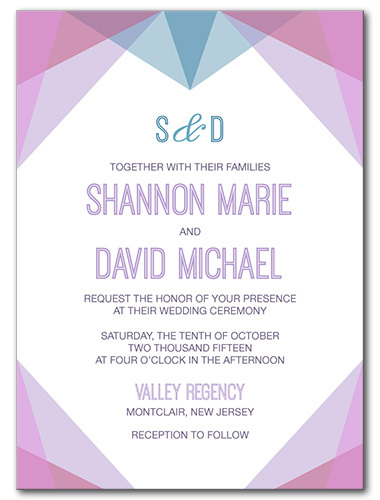 Or, go with something a little more modern with geometric shapes and clean lines. 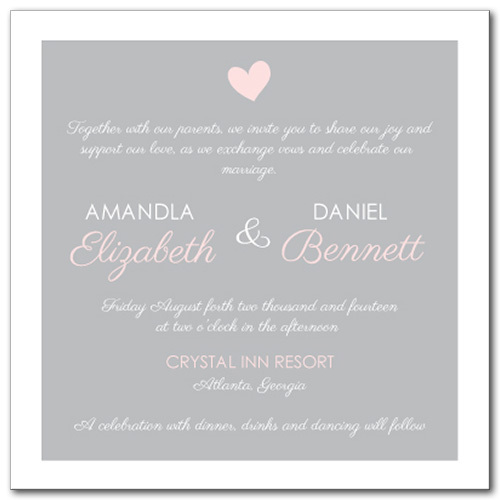 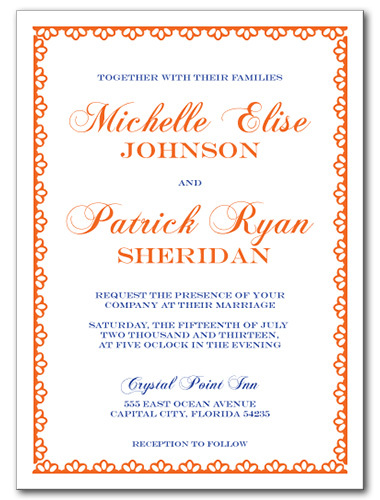 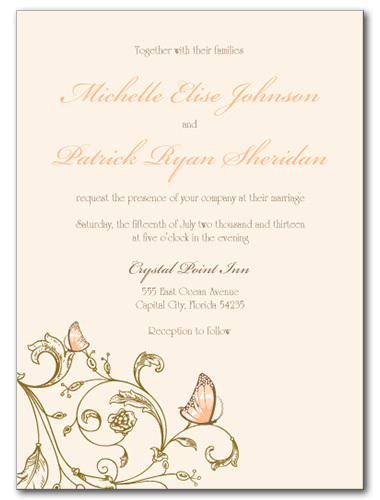 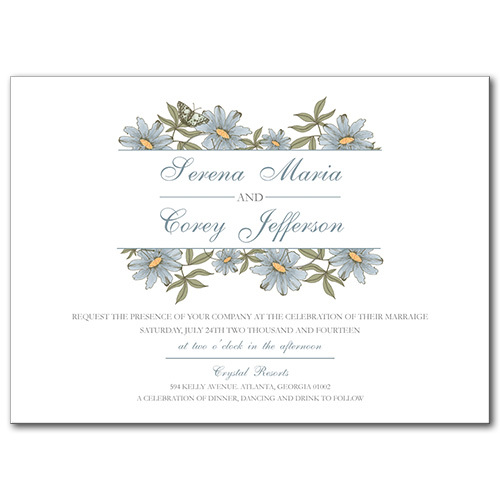 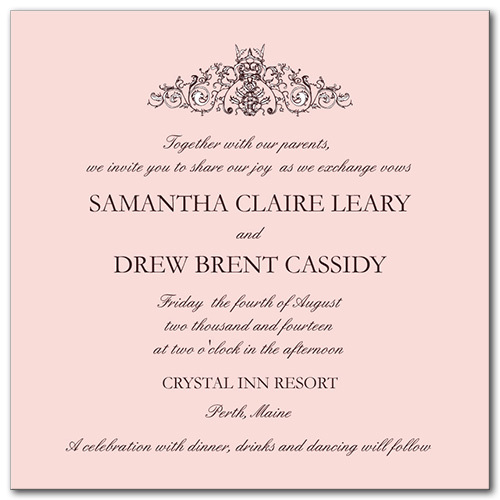 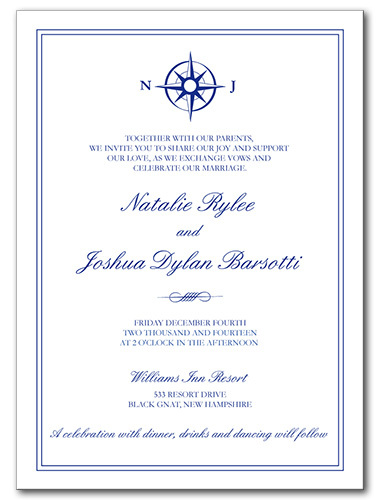 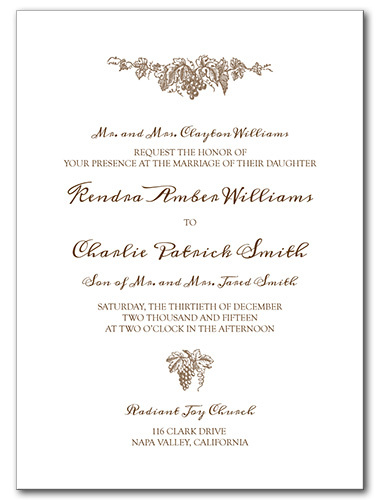 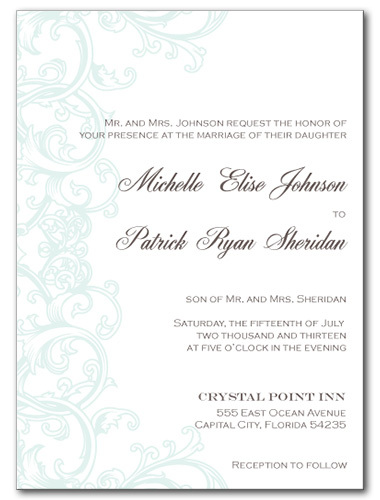 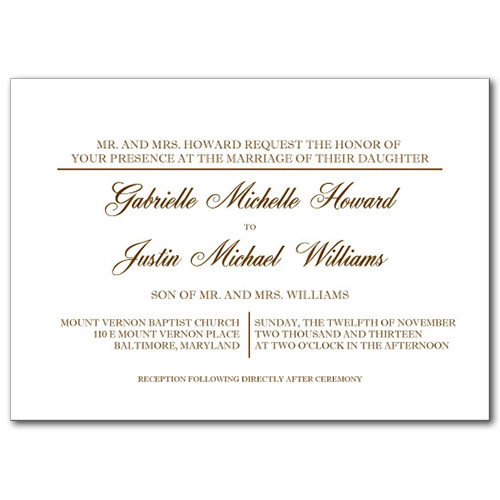 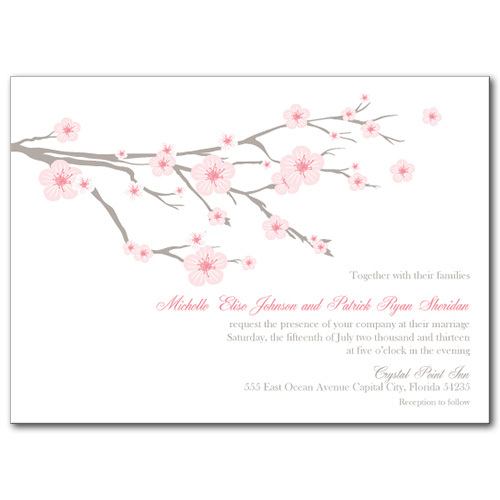 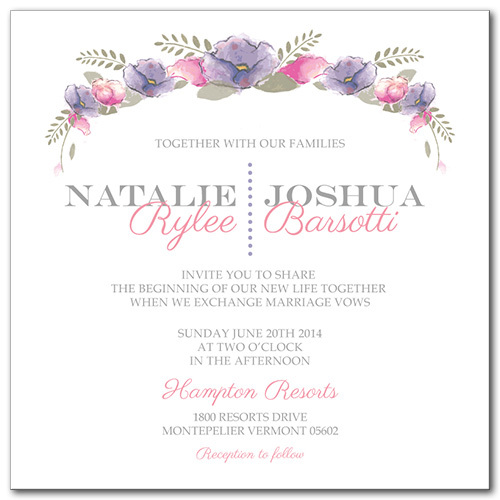 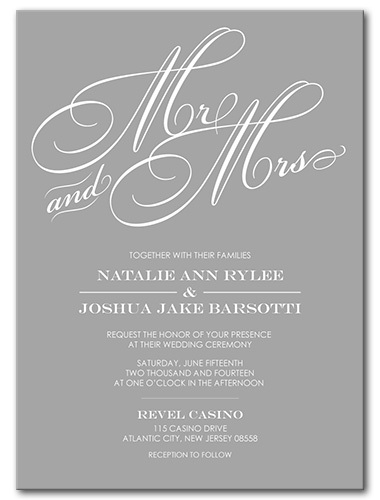 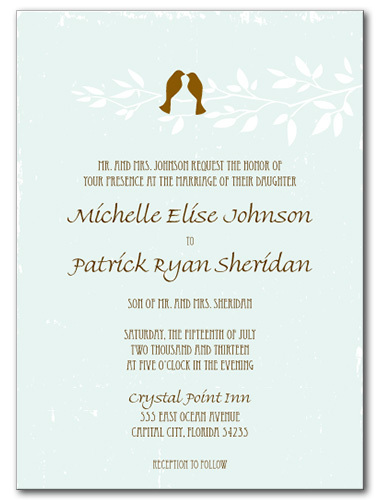 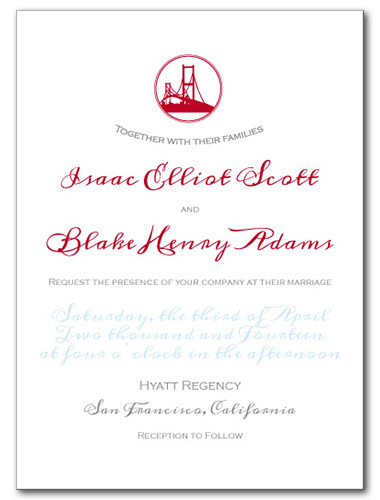 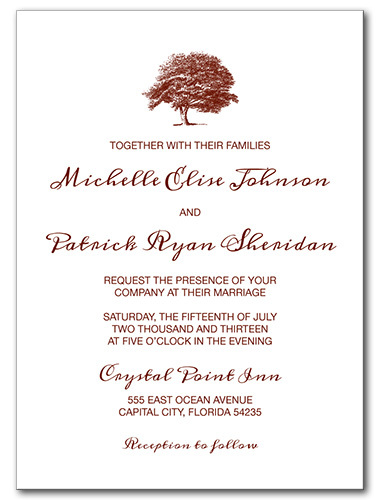 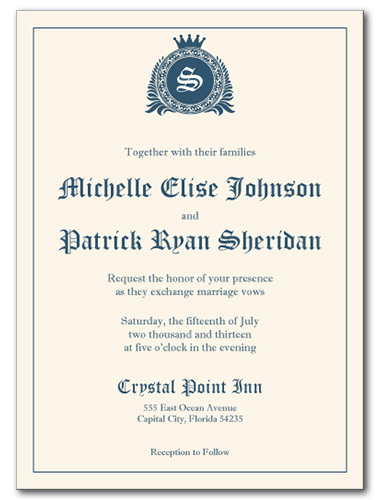 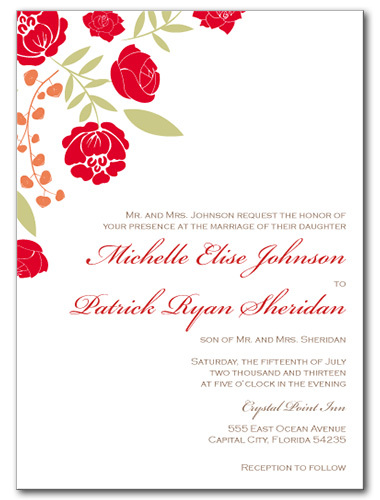 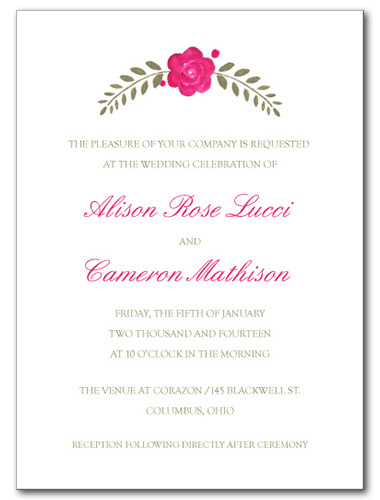 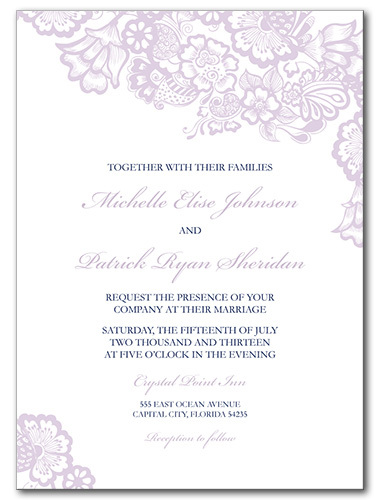 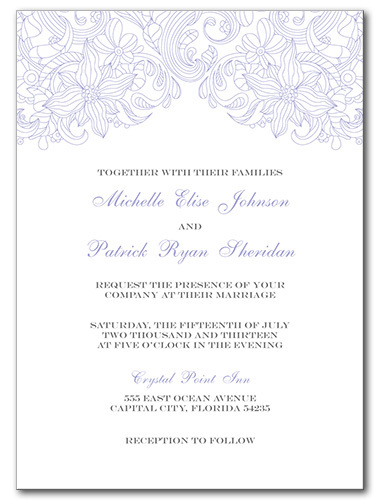 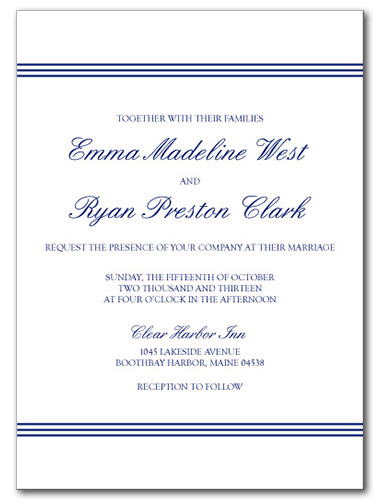 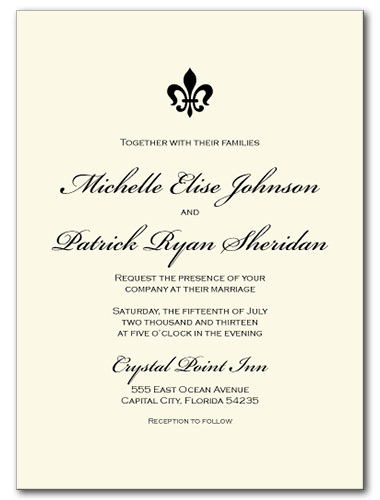 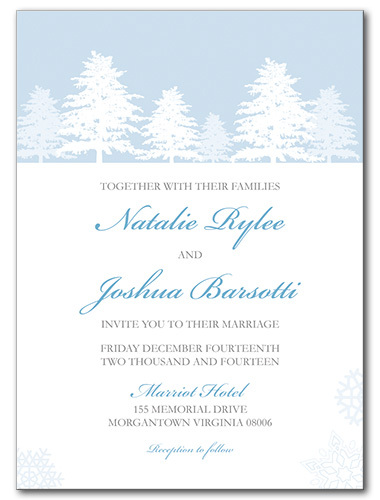 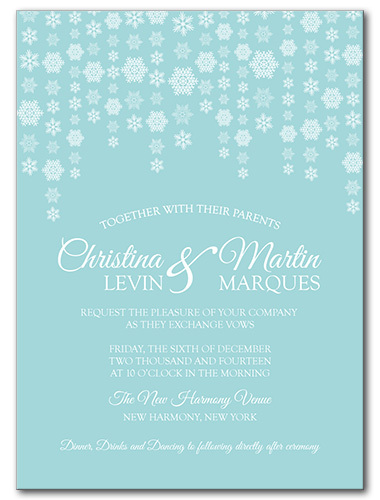 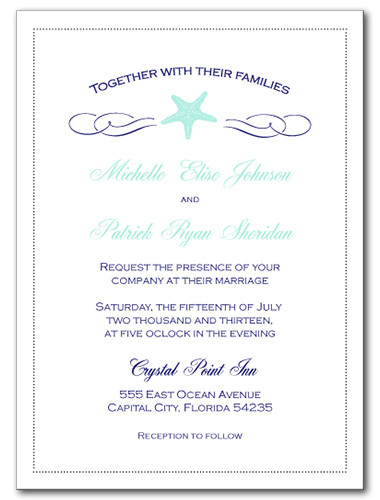 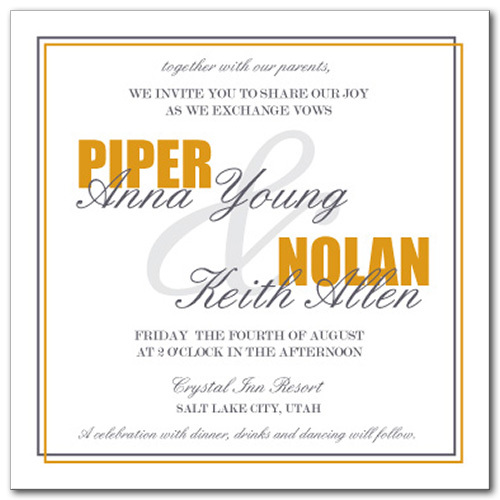 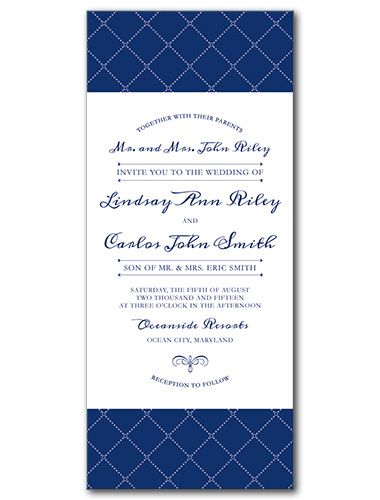 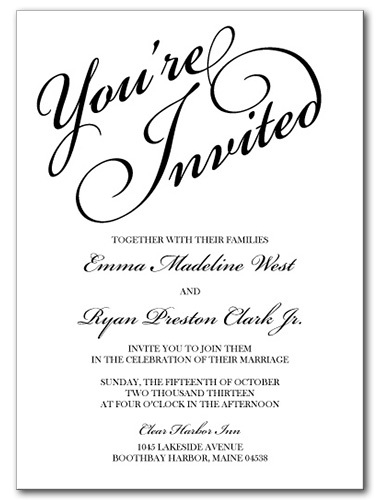 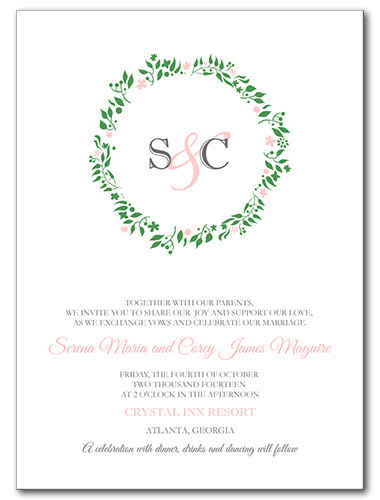 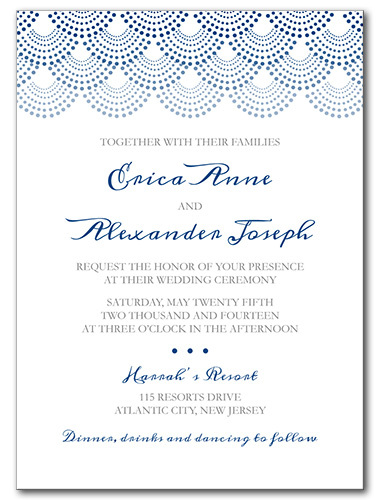 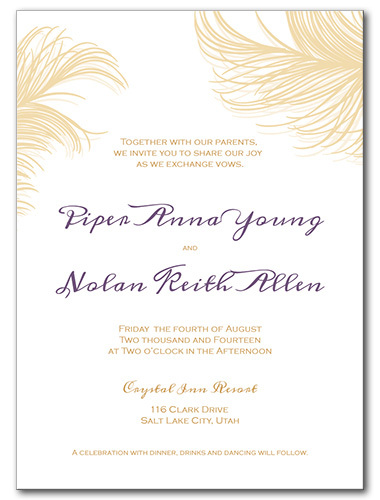 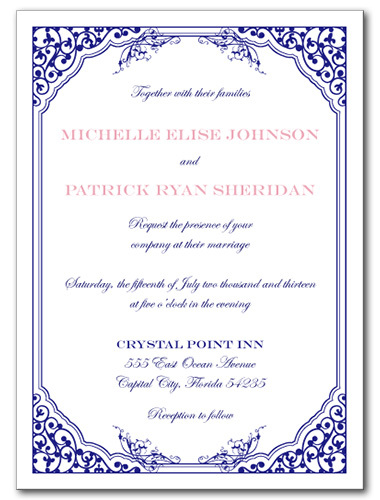 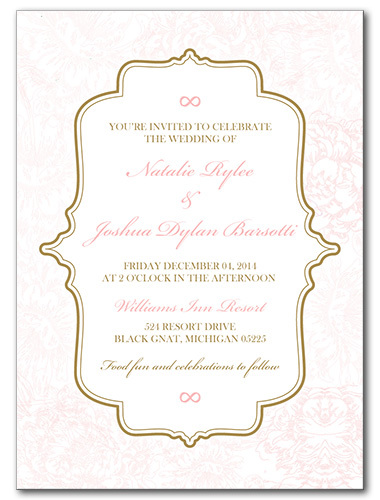 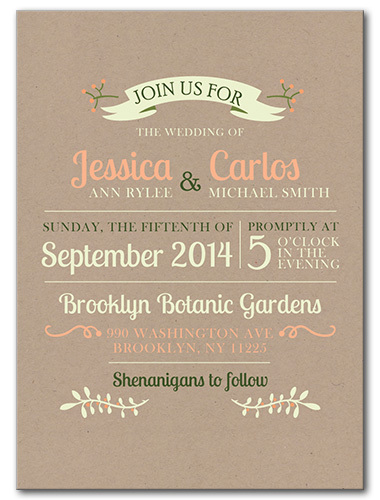 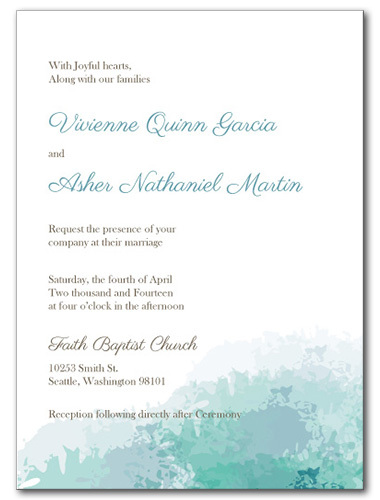 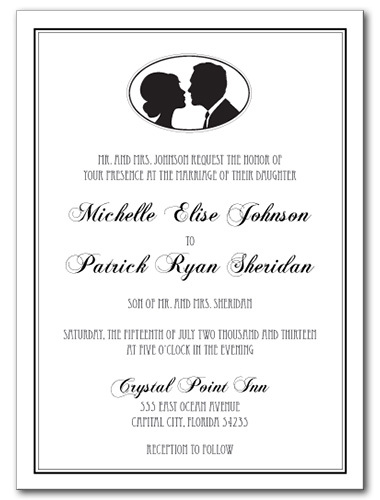 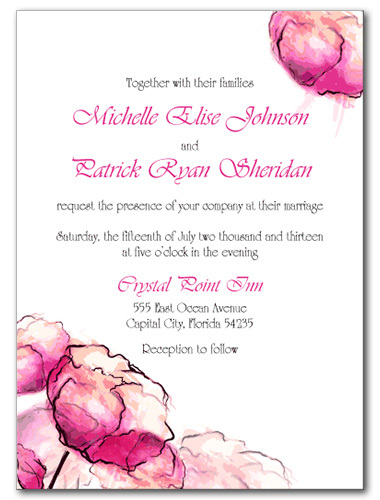 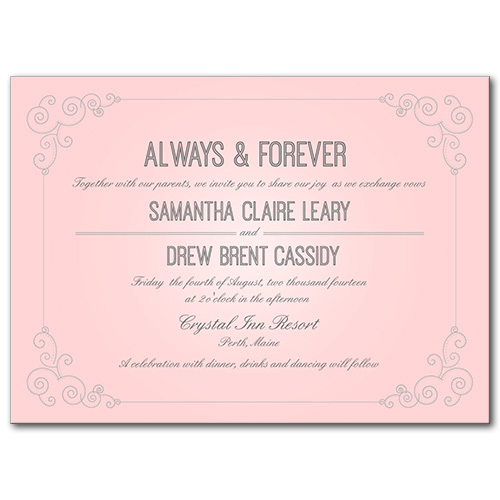 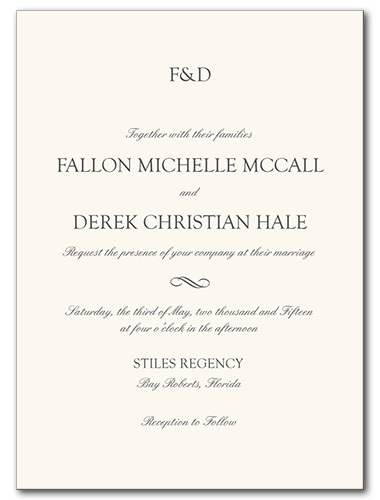 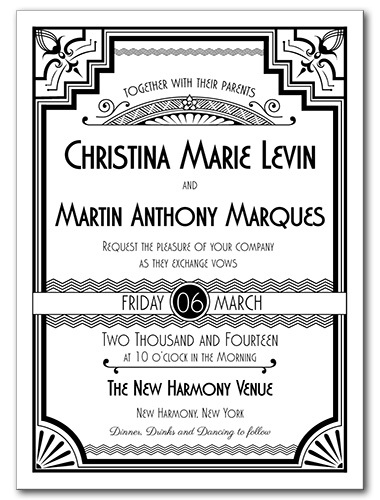 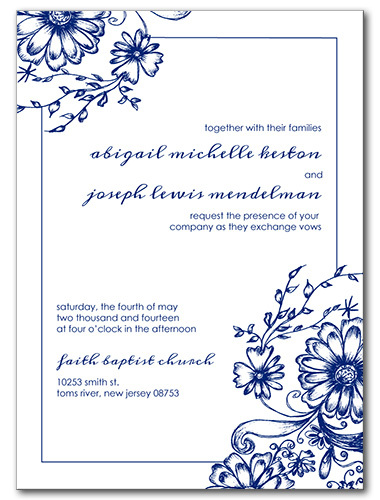 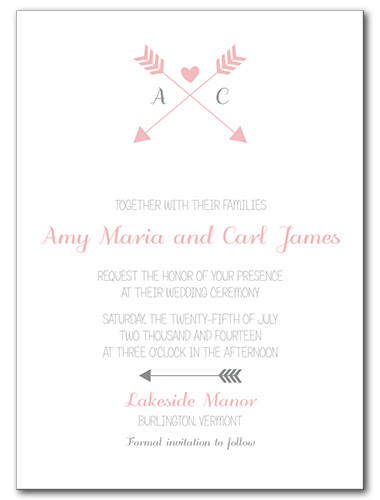 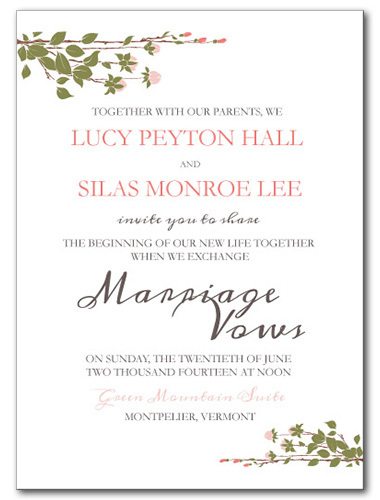 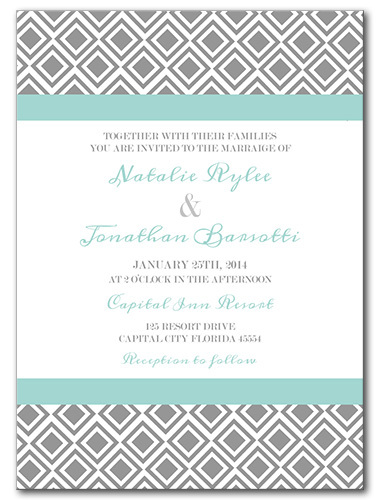 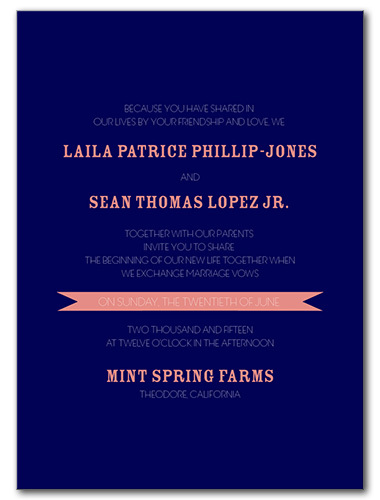 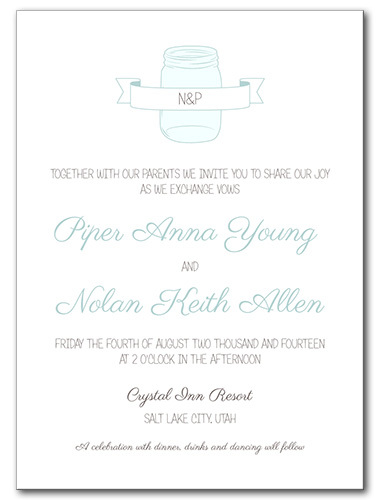 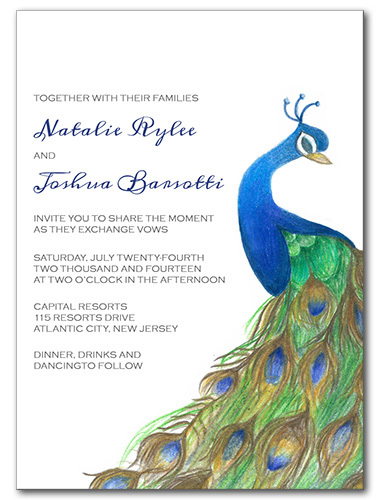 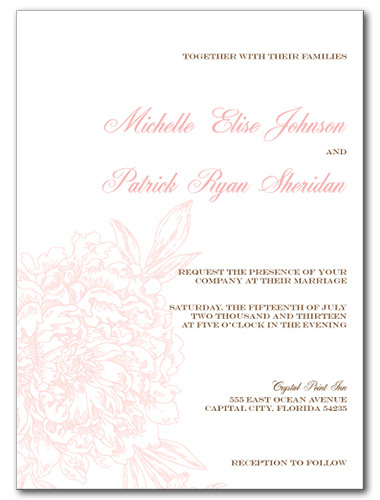 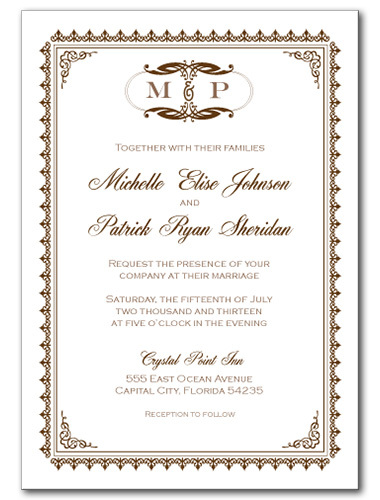 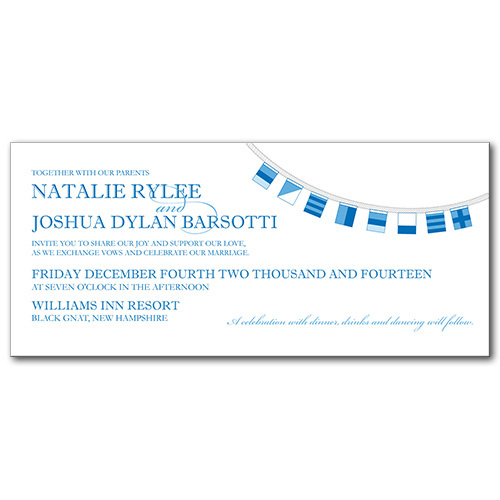 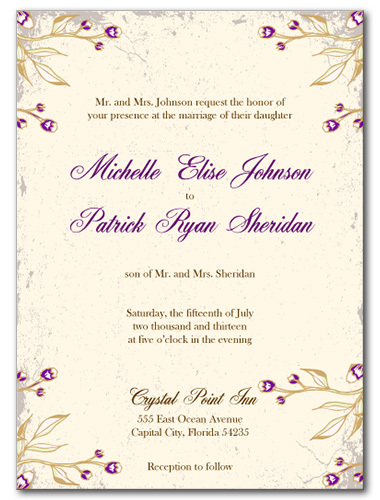 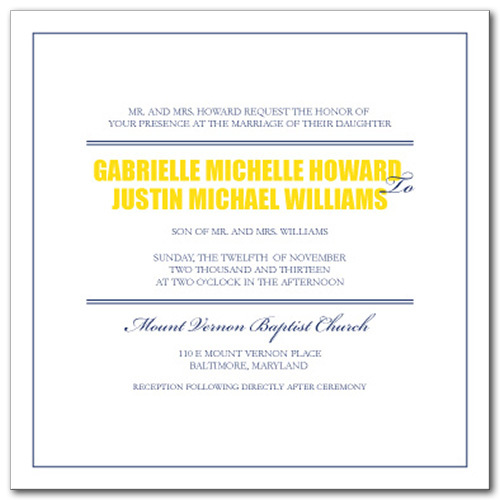 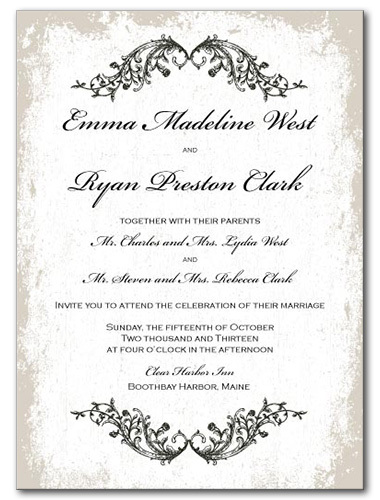 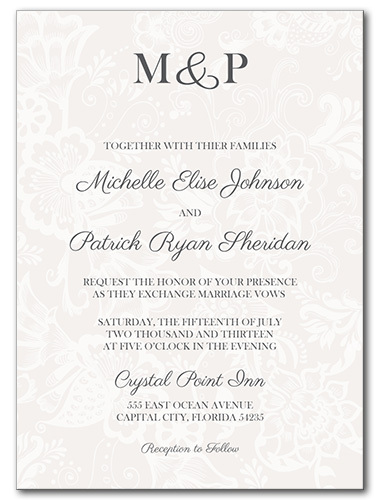 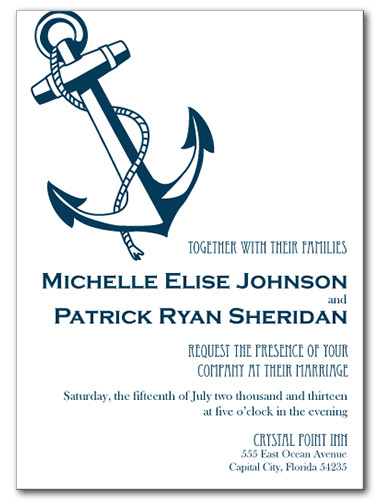 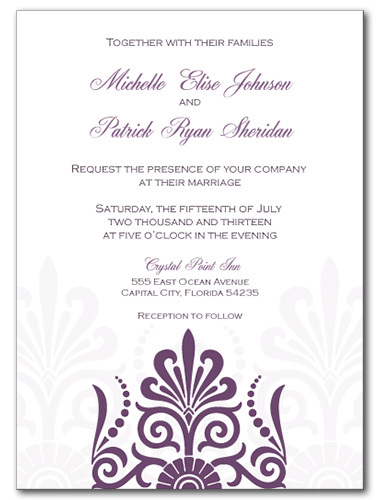 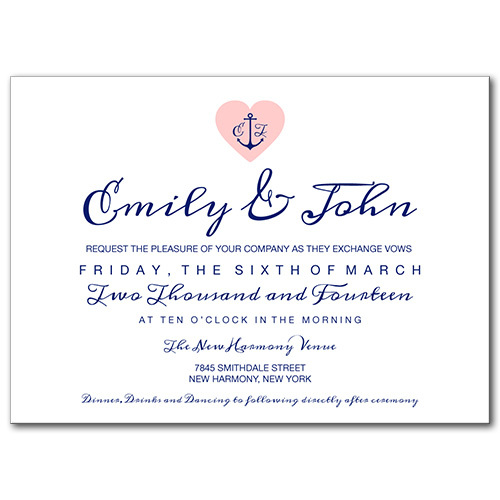 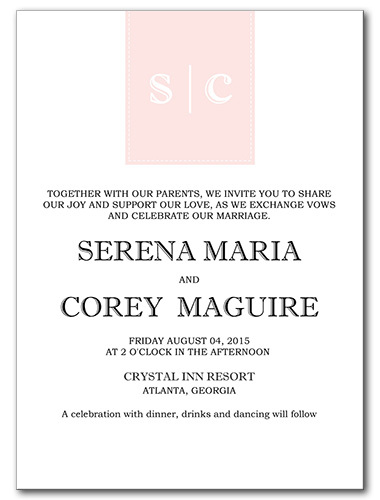 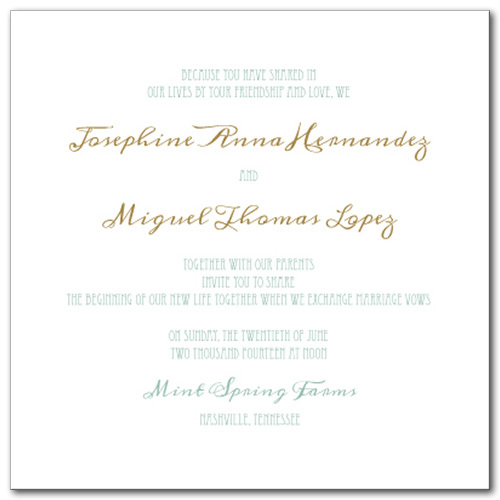 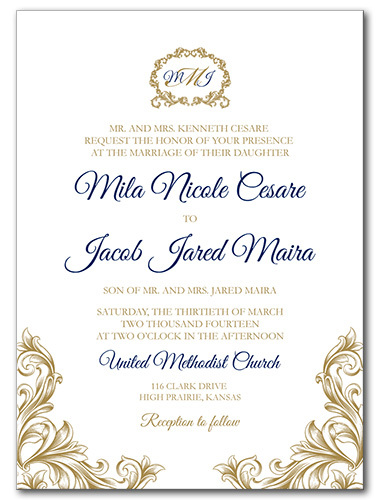 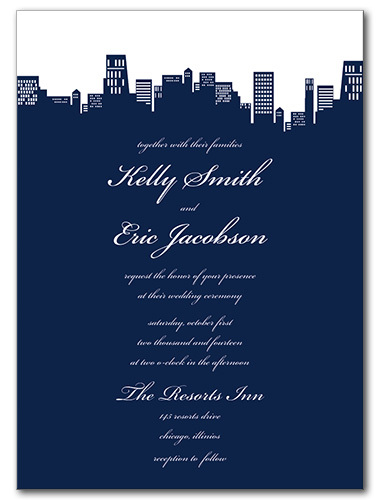 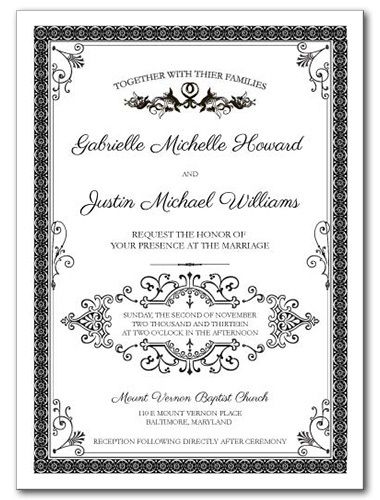 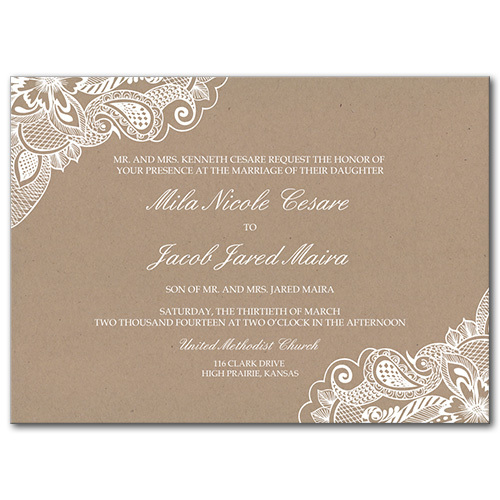 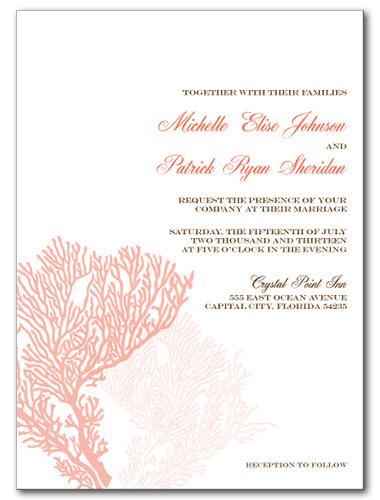 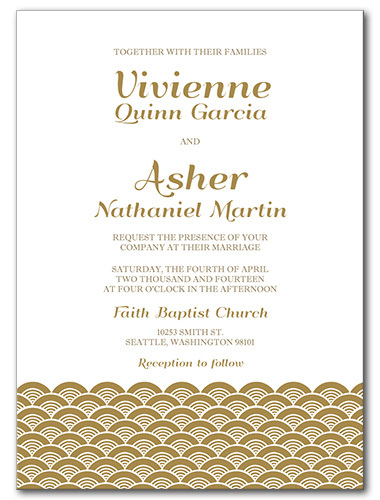 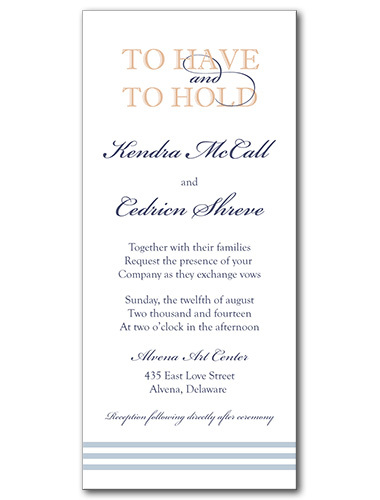 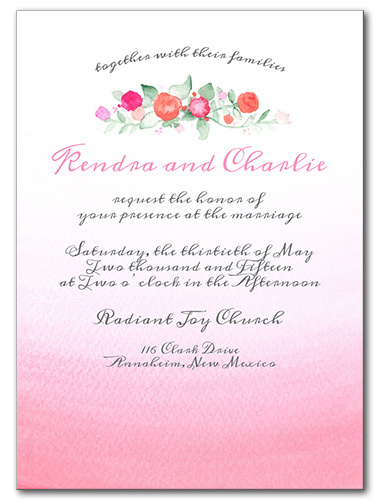 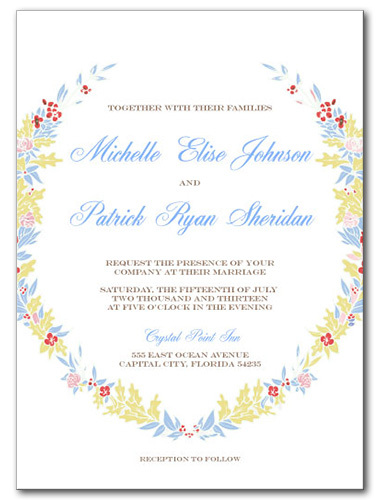 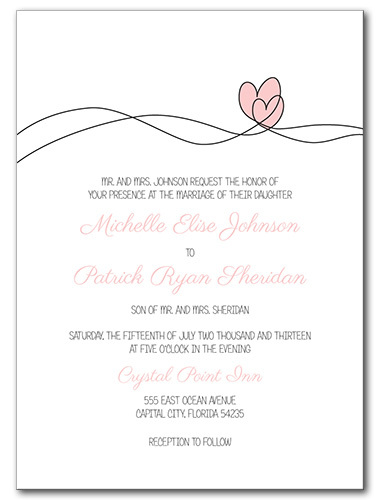 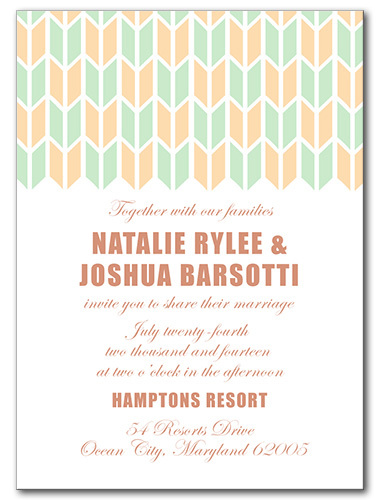 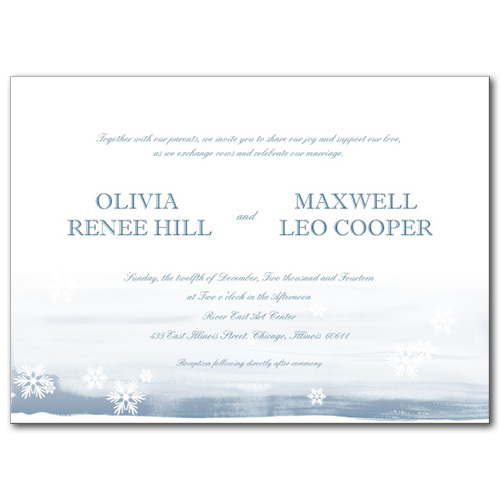 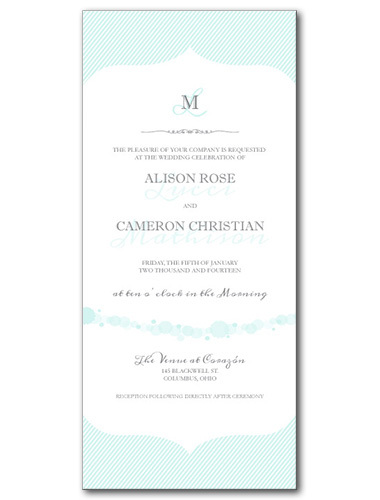 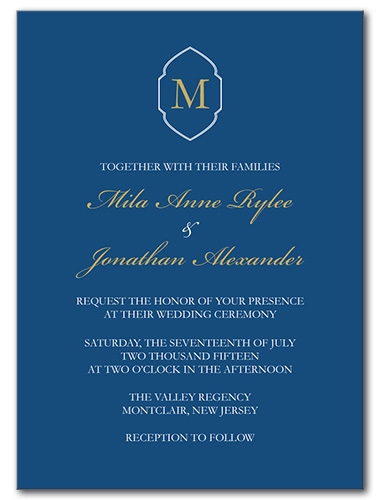 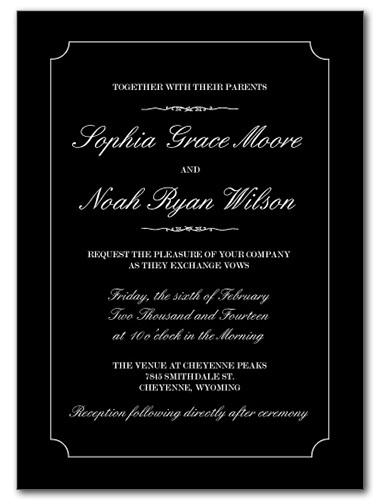 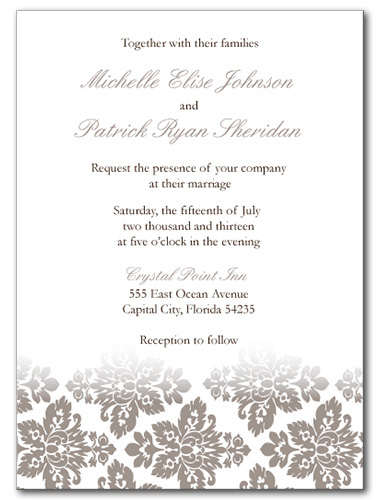 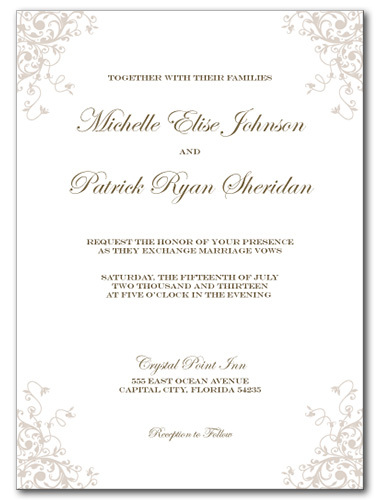 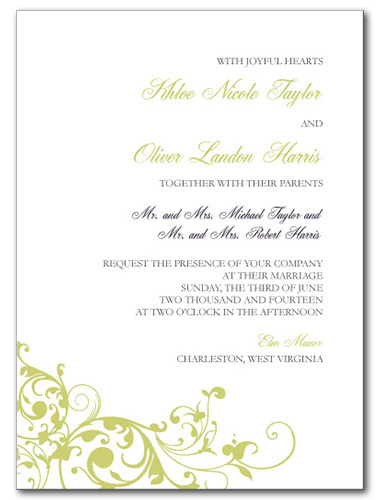 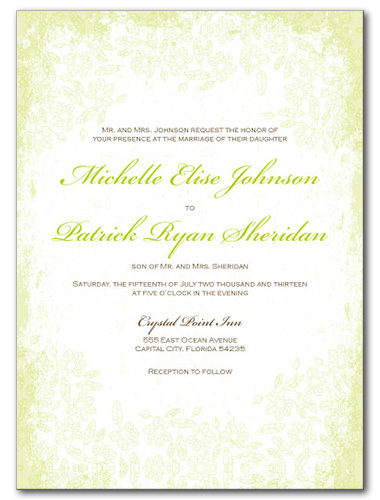 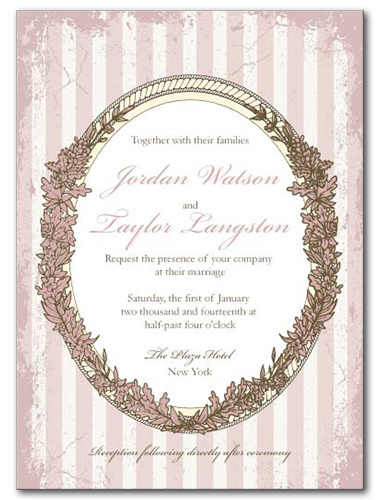 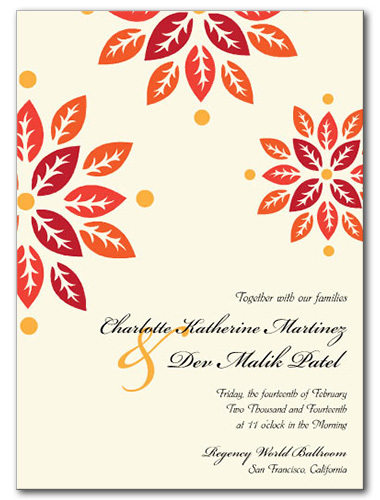 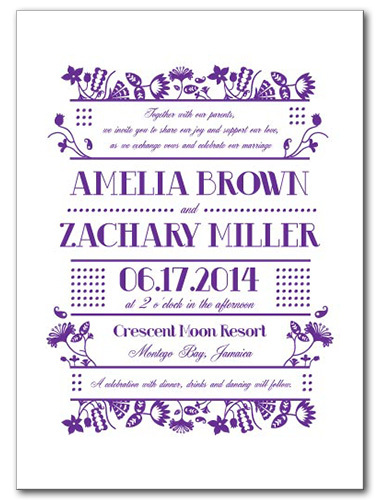 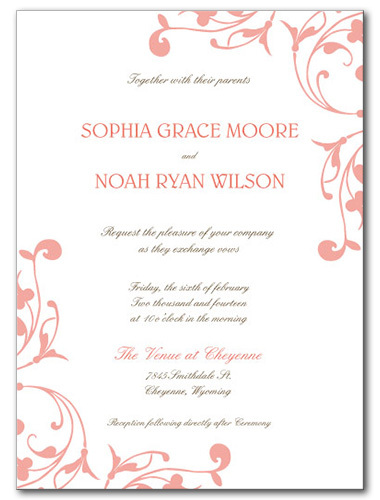 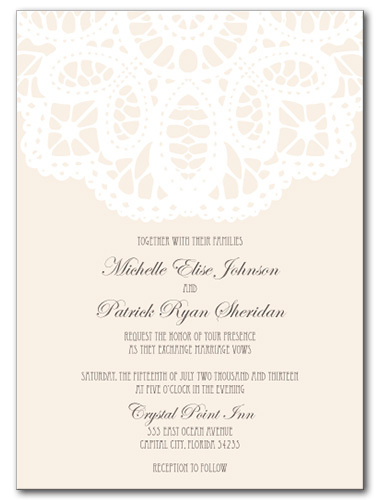 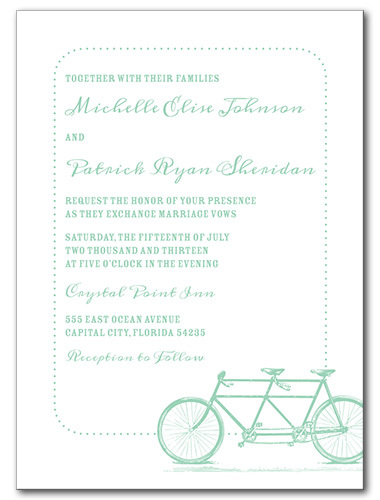 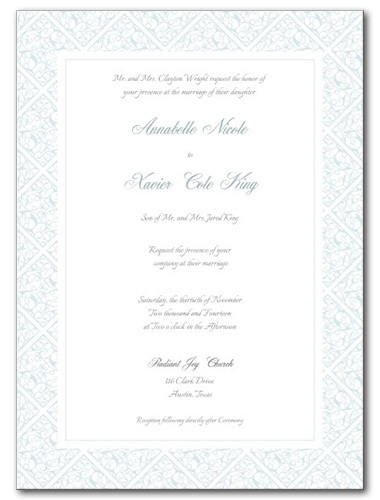 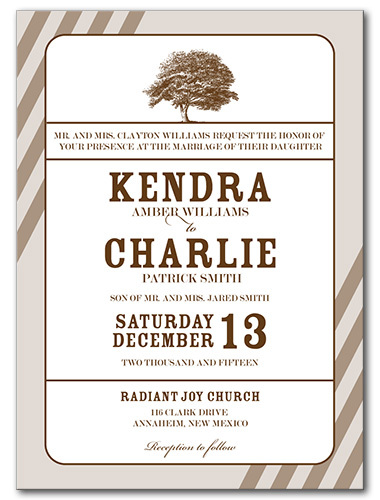 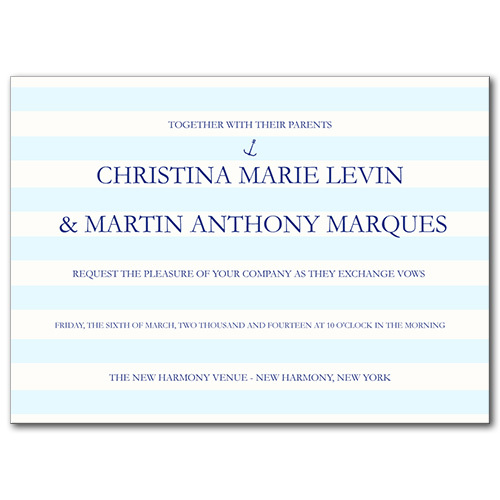 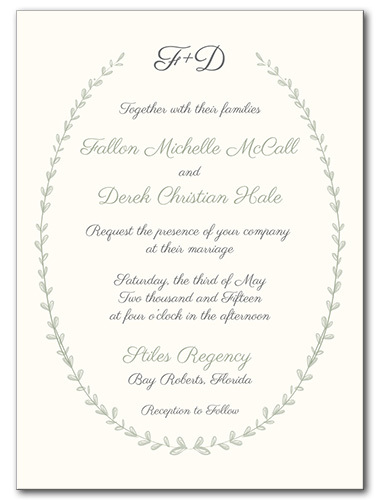 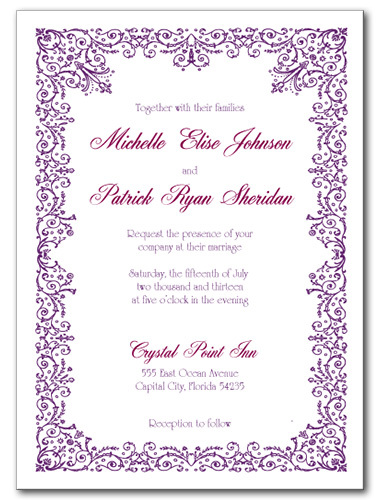 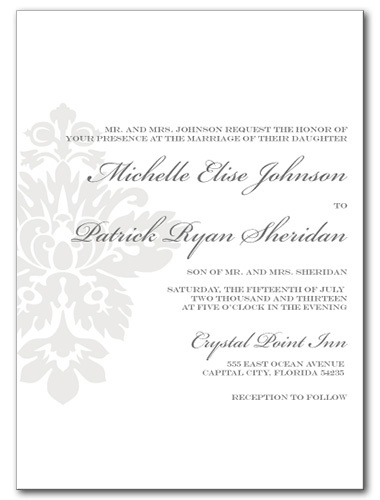 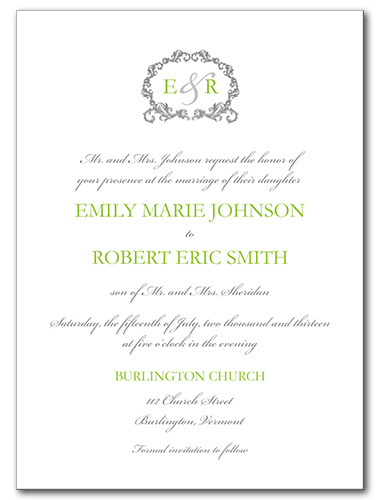 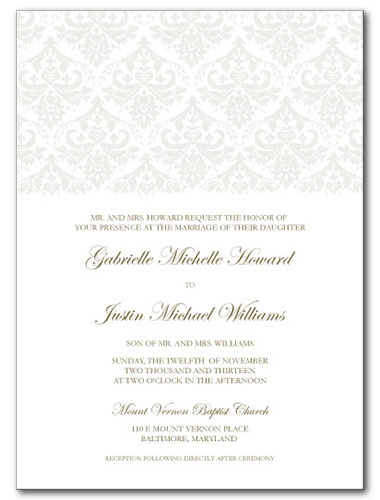 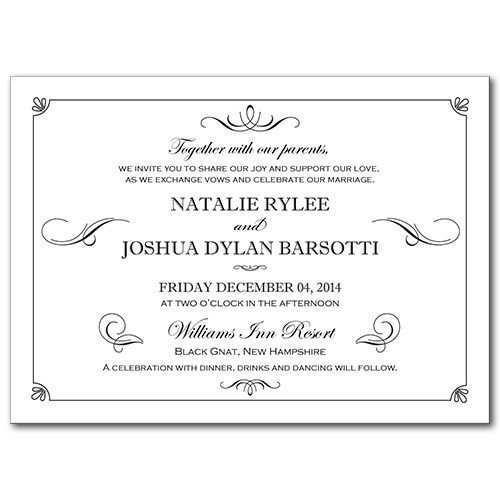 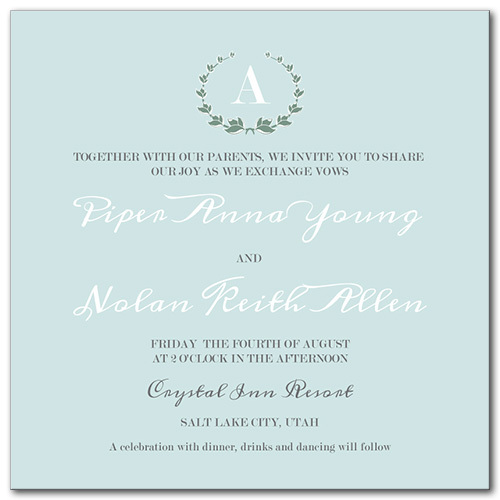 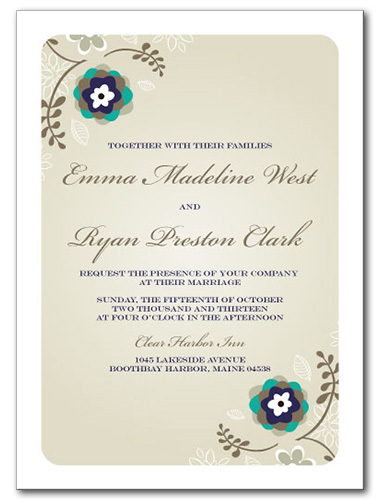 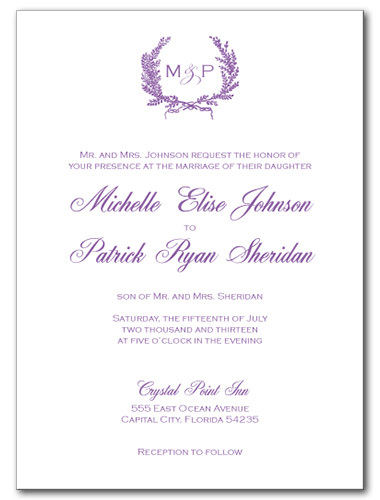 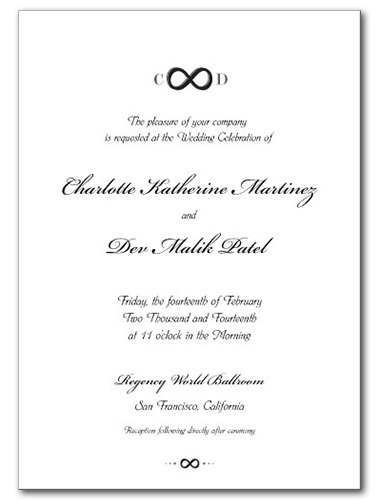 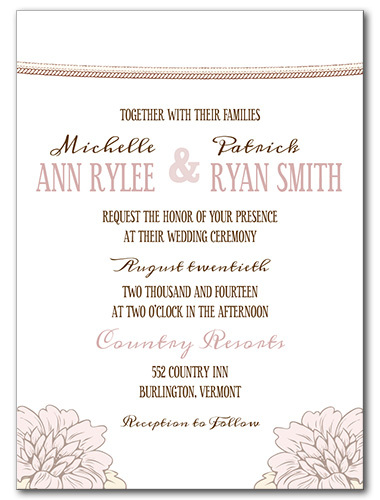 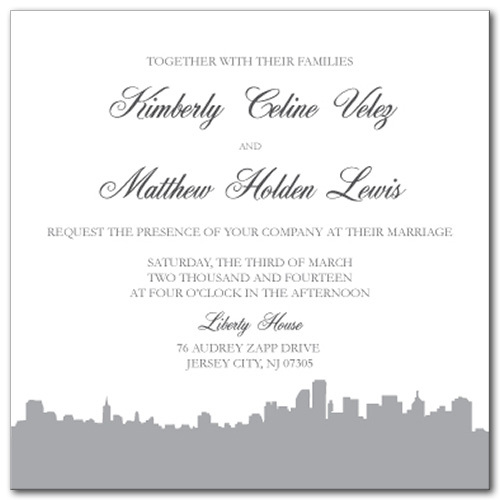 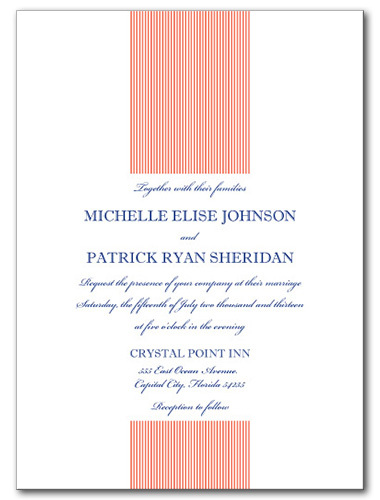 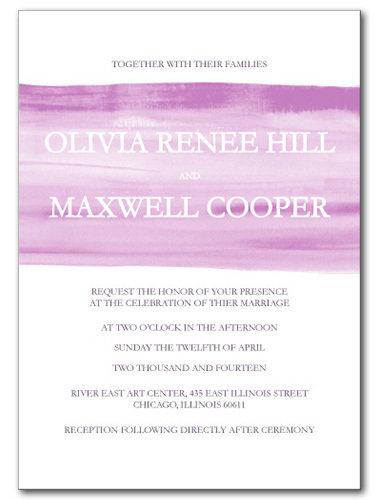 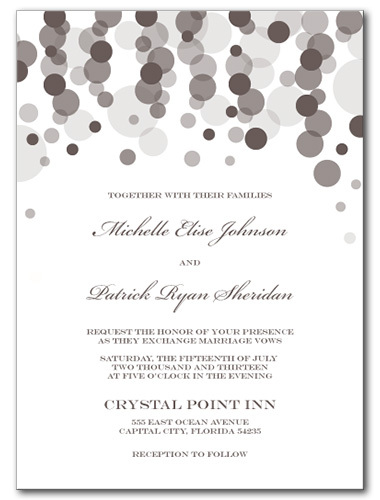 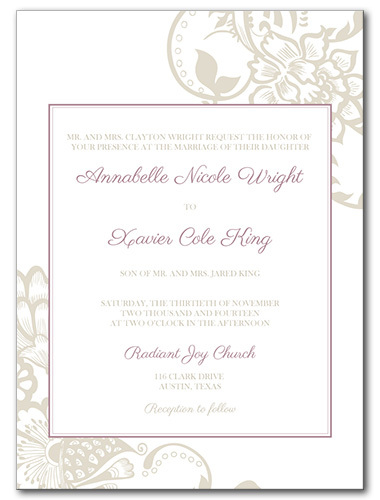 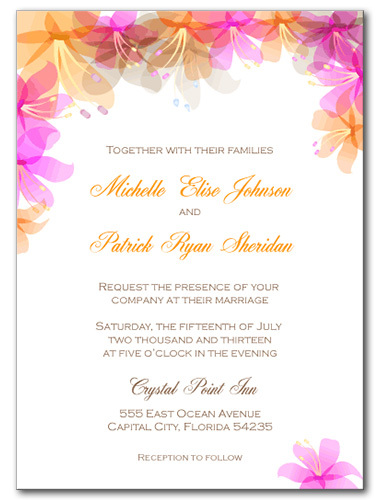 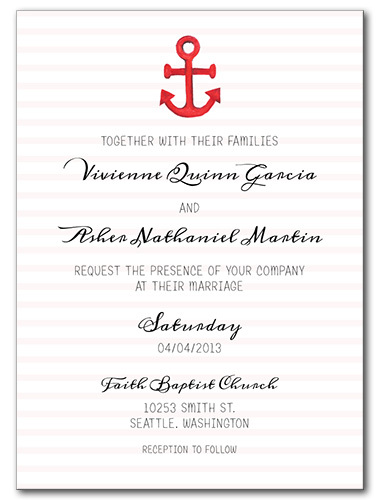 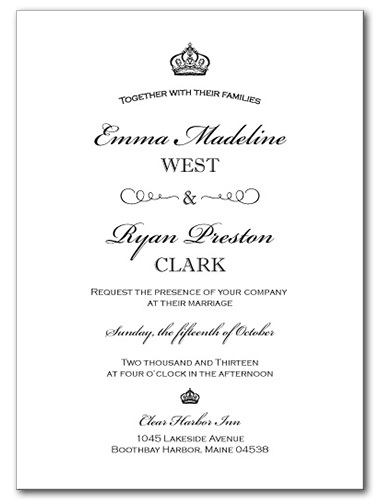 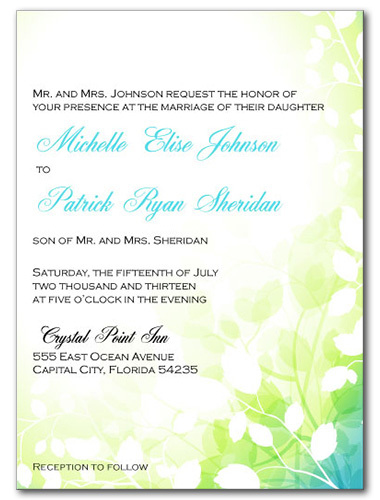 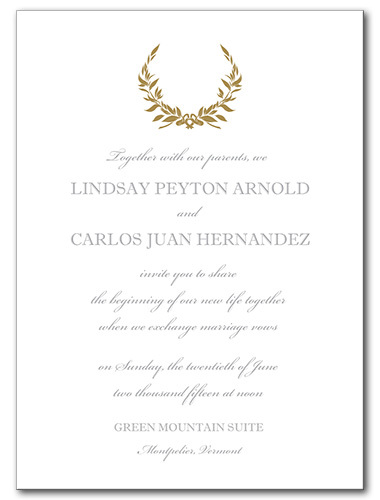 You'll also find simple and classy traditional wedding invitations fitting for more formal gatherings. 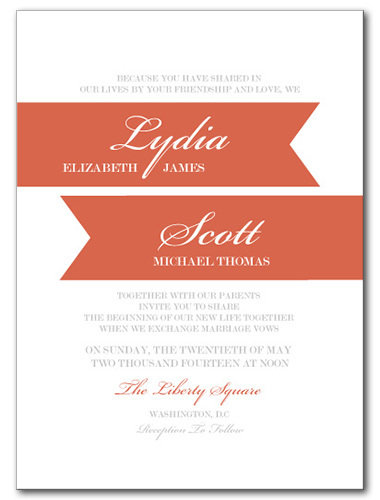 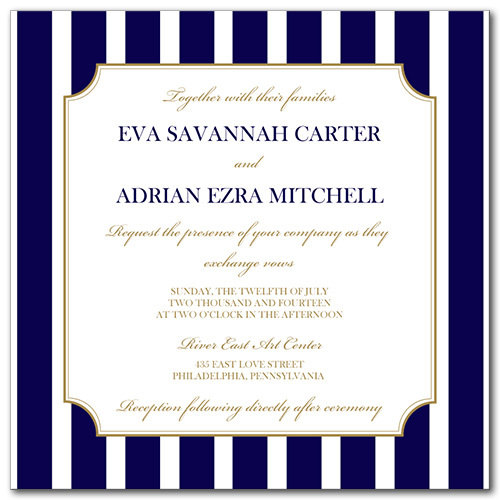 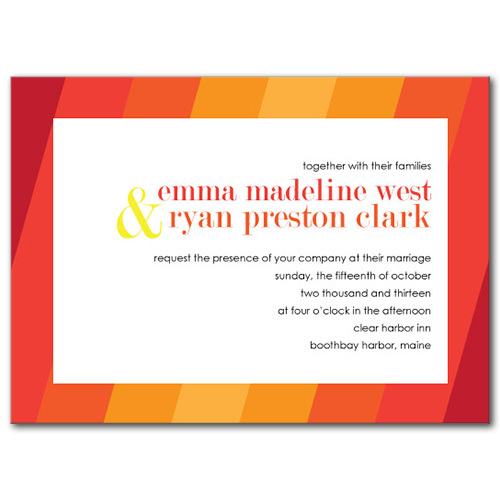 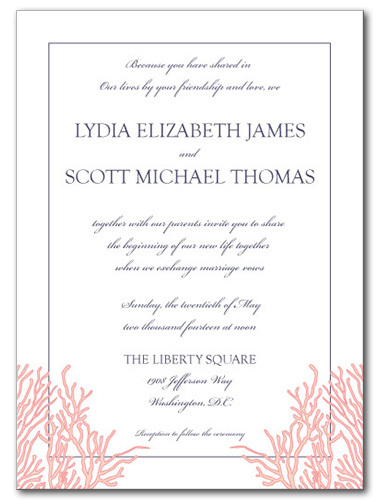 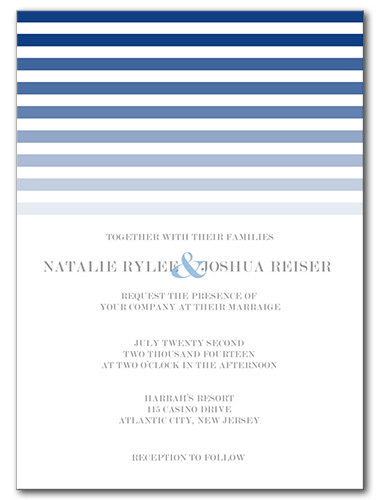 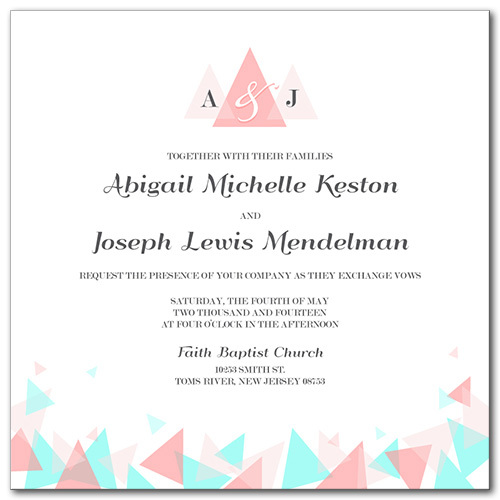 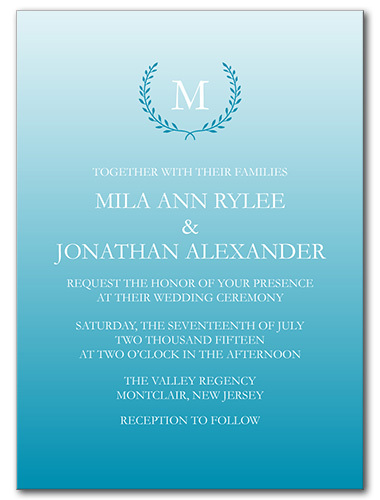 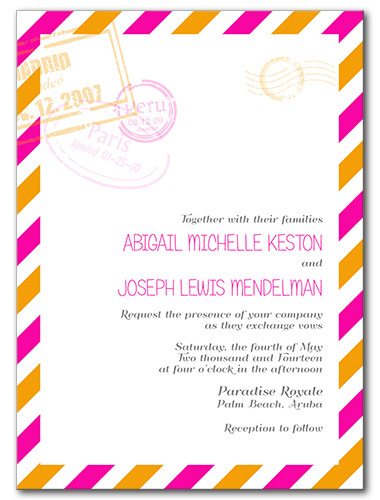 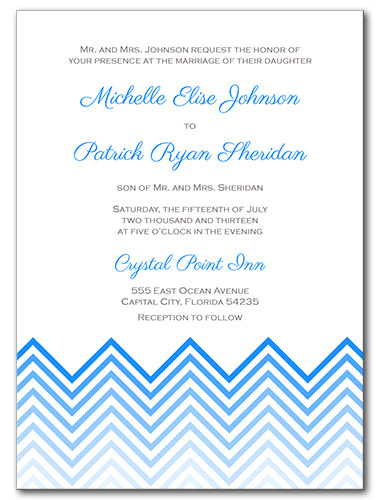 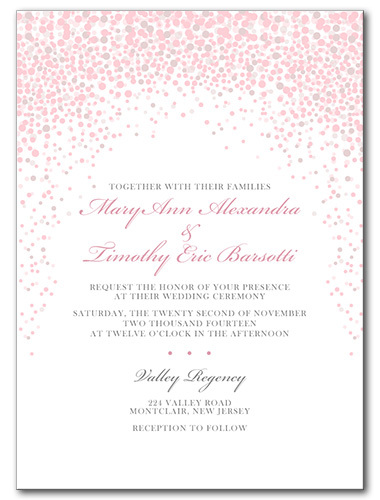 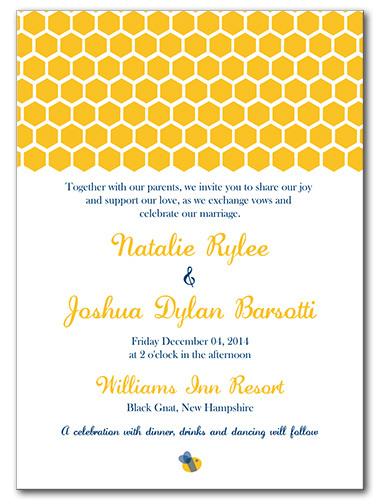 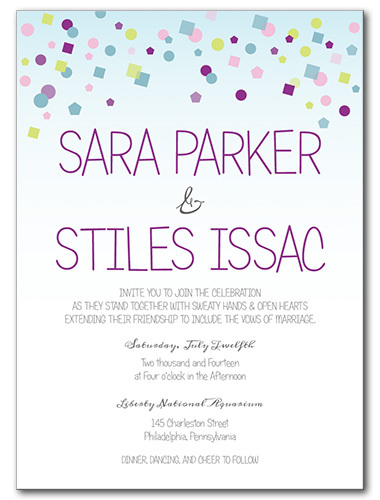 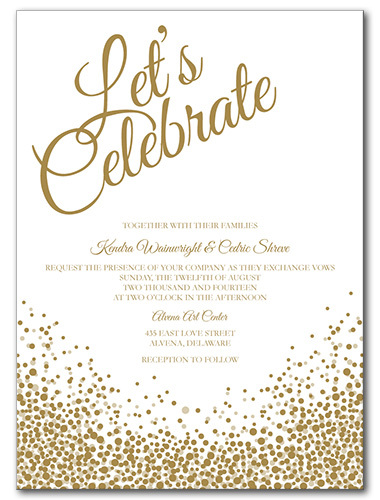 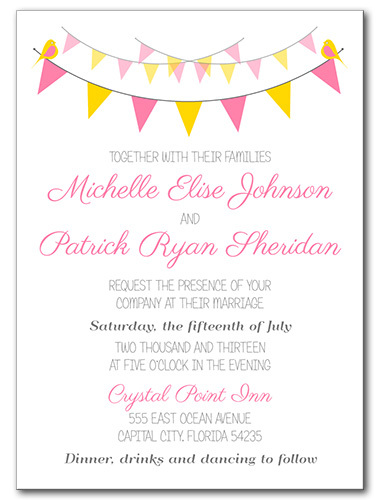 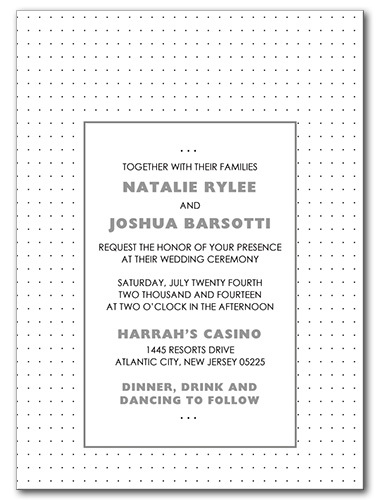 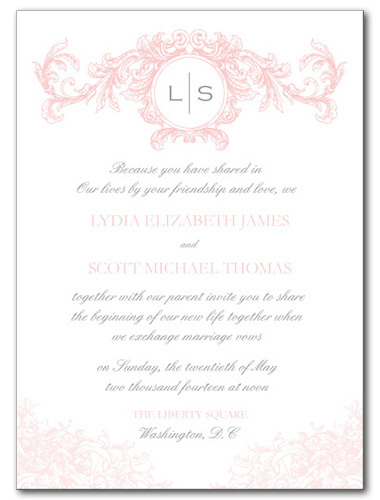 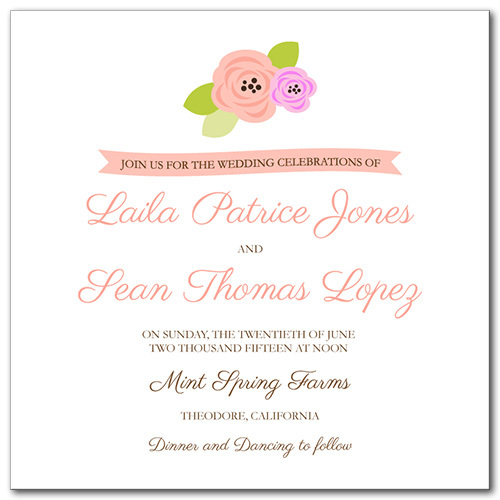 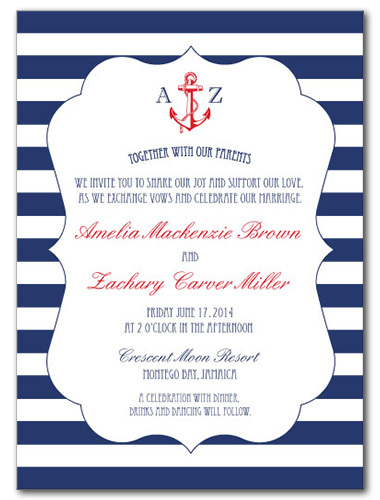 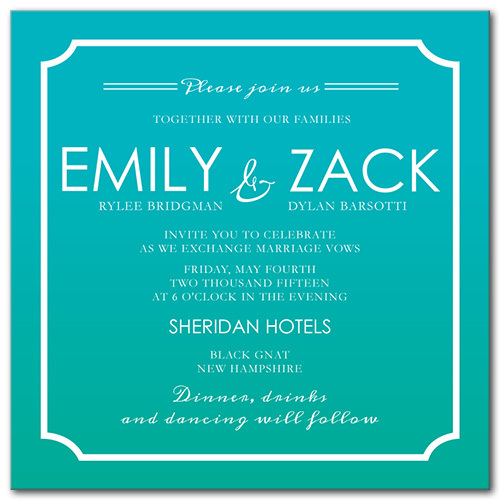 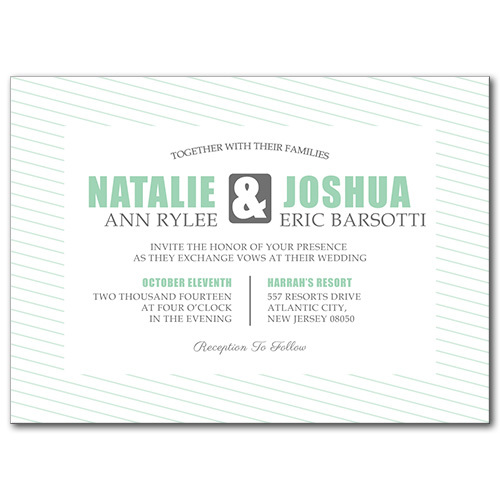 Customize and personalize your favorite invites using the easy to use online tool. 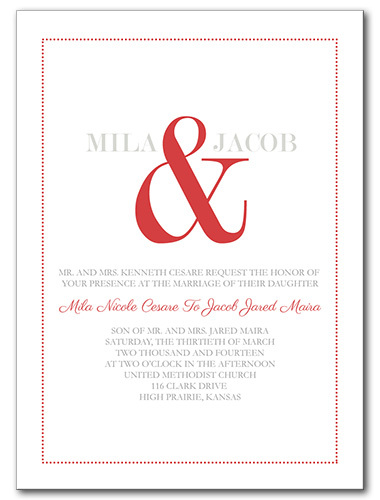 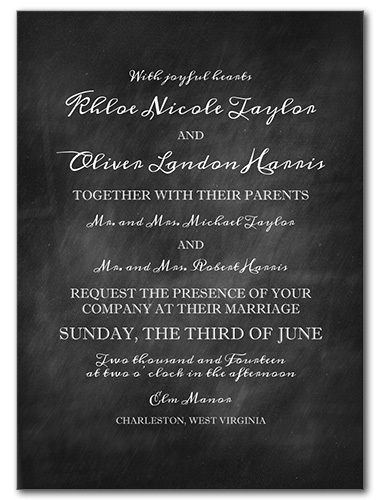 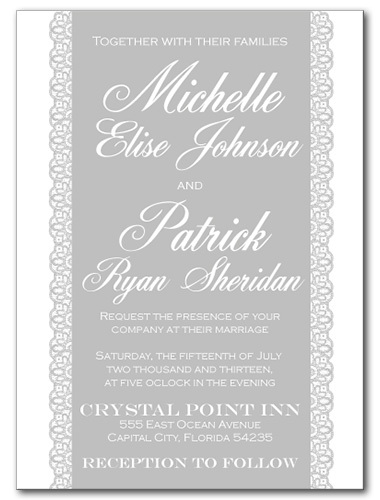 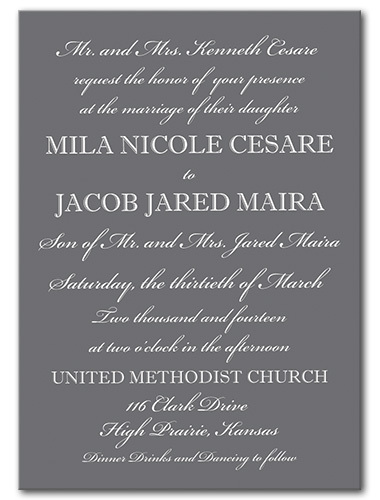 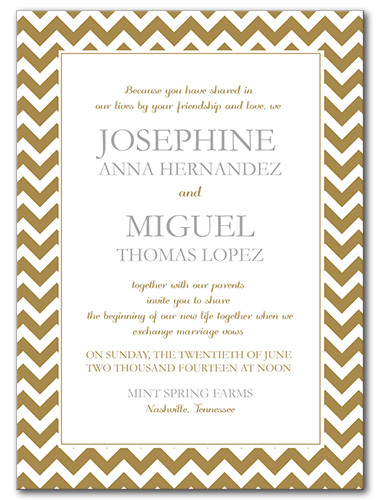 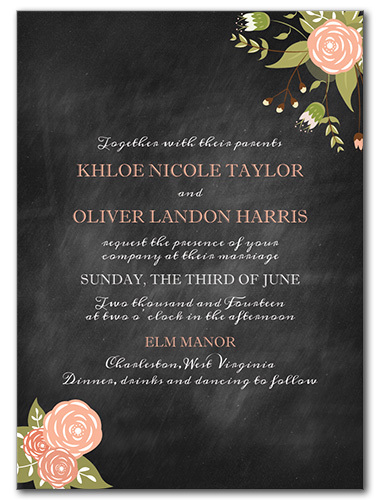 Add your own wording and wedding font, and choose the perfect paper to achieve the look you're going for. 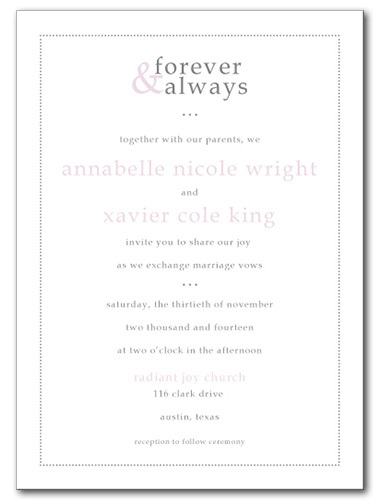 It's all right here in one convenient place.